still rocking at 60 says...it seems to sound like a missing link to a 38 special album that did not get out, but who care's... this is some great great great melodic rock that fits in with with my massive collection of A O R music, Mr. Barnes...you get back into the studio and get us another one, now go... ! I feel like I am back in the Eighties listening to 38 Special once again. 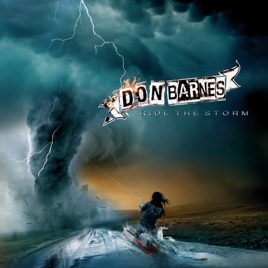 Don Barnes has released a gem of classic rock tunes for the ages. In the present day of techno music, it is wonderful to hear real instruments and Don's iconic voice. It's stunning that this was buried for 28 years. What's even more stunning is that it's finally been released. I think I appreciate this more today than I would have in '89 because they just don't make them like this anymore. I've always loved Don Barnes vocals and the supporting cast is amazing. A wonderful surprise that made my musical summer. I love the title track, After the Way and I'd do it all Over Again.